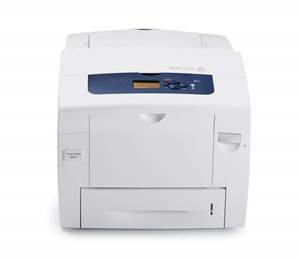 The Xerox ColorQube 8870DN is a full-color desktop printer that gets jobs done quickly with output speeds rated at 40 ppm in color prints and B&W prints. The ColorQube 8870DN is compatible with Windows, MAC, and Linux. The ColorQube 8870DN standard duplexing reduces paper waste and minimizes file storage. The Xerox ColorQube 8870DN ink sticks in black, cyan, magenta, and yellow will deliver documents with rich and vibrant prints.